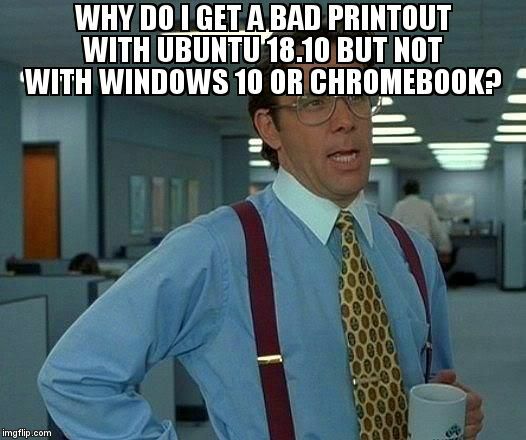 I tried upgrading Ubuntu to the 18.10 Beta Friday night, all seemed to go well except for when I tried to reboot the desktop wouldn’t load. Tired of looking for a solution I tried installing Manjaro from an iso I have as a working Virtual Box, but each time I tried from a USB I was told corrupt / incomplete file, WTF! So I downloaded it again, check the hash, all good; only to get the same error… think this comes from the mounting method I was using. Wanting to take this opportunity to install a different OS next I opted for the latest Debian build. I already use it as one of my other installed OS’s, so I appreciate the stability. All good working as it should, everything behaving as it should, like driving a Volkswagen, although I couldn’t restore my Back in Time backup, but could grab an Deja Dup from back in July. All was working good, but I found the menus too formal, and I really did want the Python code I’ve recently written, and would be nice to get back the Anaconda environments I’ve recently setup. Ubuntu drew me back like a familiar dirty habit, with the hope of Back in Time working. I’ve been using Budgie desktop for the past couple of months, so I decided to go for the low spec 64bit Ubuntu version. All good for now though, I have my passwords / keys and bitcoins, and I’ll try installing fan controls to keep my box cool enough to restore the backup… although I’m then only still back to July; I really would like the Back in Time to work.